These are all the Blogs posted in December, 2017. We left before sunrise this morning at approximately 0640 and headed out Dowry Creek channel toward the Pungo River and the ICW... We saw no other boats until we reached Hobucken where we came upon three sailboats that spent the night on the docks there... they pulled out ahead of us and we followed them out to the Neuse River where we finally were able to pass them. 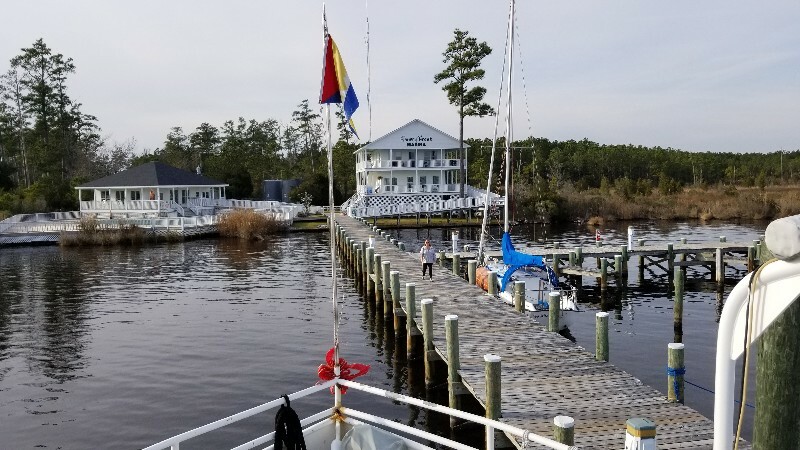 Out destination for night was New Bern Grand Marina and Yacht Club in New Bern, NC... about 21 nautical miles up the Neuse River past Oriental. Was very strange not stopping at Oriental... we have stopped there on just about every trip north and south. 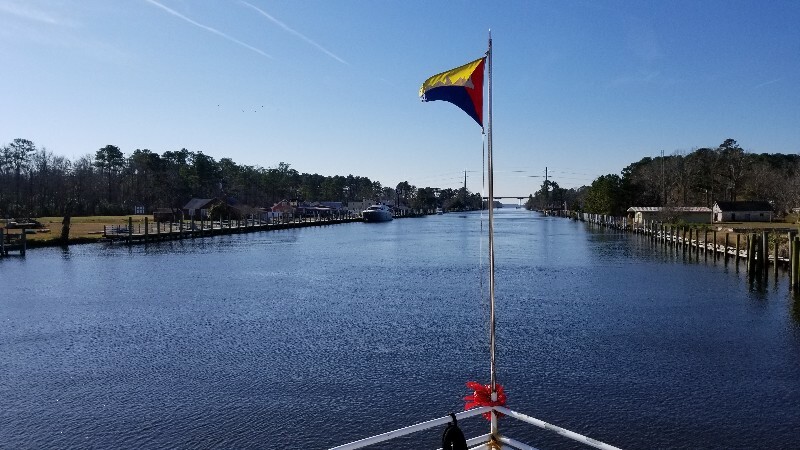 We arrived to New Bern, NC our destination for the night just before sunset at approximately 1630 and were securely docked at 1640 35°06.114'N, 77°02.467'W. 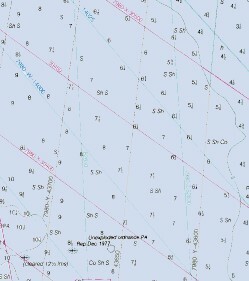 We traveled today for 10 hours 64.1 nautical miles averaging 6.4 knots. 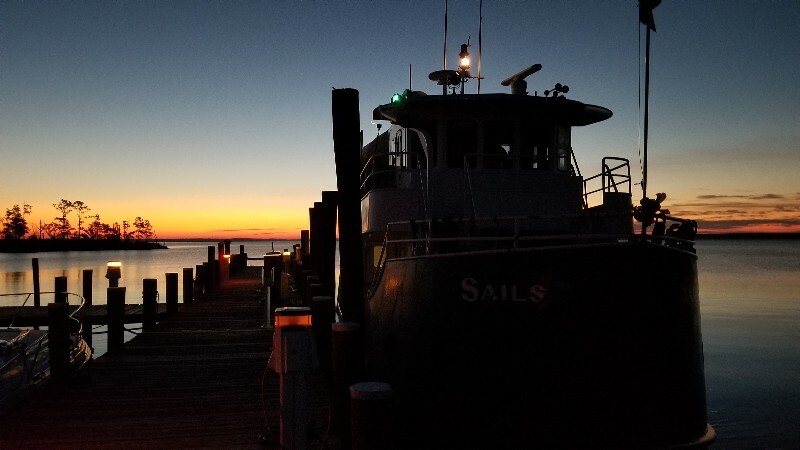 We will leave the boat here in New Bern over the holidays... returning in January 2018. 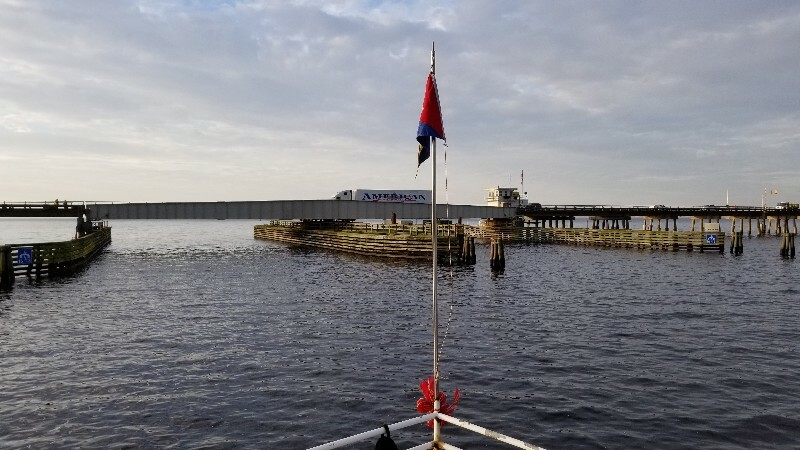 We left Alligator River Marina this morning at 0745 and headed out toward the ICW and the Alligator River Swing Bridge. I hailed the bridge and was informed that there were construction workers on the bridge and it would take a few minutes clear the workers. We waited maybe 10 minutes and the bridge opened... no big delay at all. Today's forecast was for WSW winds 15-20 knots and seas 1-2 feet... winds were accurate but the seas were not... we barely had 1 foot waves if that... it was a very nice day of cruising... could of used a little more sun but it was sunny every now and then... peaking out from behind the clouds every so often. Actually passed a sailboat heading south today... I think this was the first real cruising boat headed south we have passed... besides the sailboat we helped get ungrounded. We did have a few sportfish boats pass us... delivery captains aboard them. 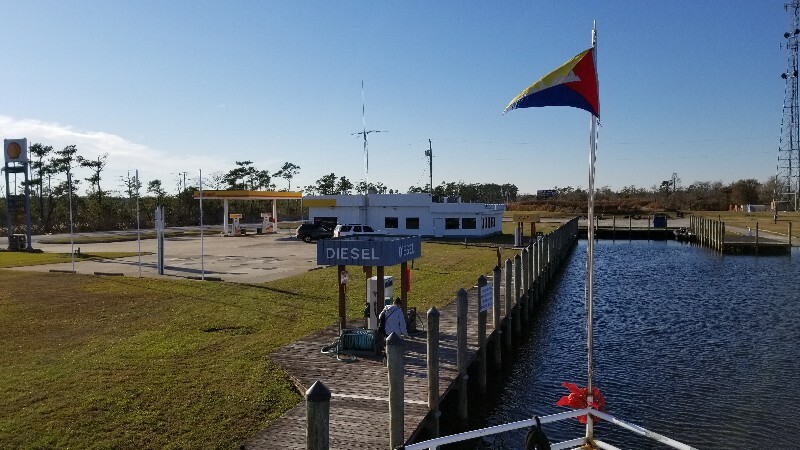 Transited the Alligator River and the A & P Canal... very long and rather boring stretches in my opinion... sometimes you do get to see an eagle or two but none today. 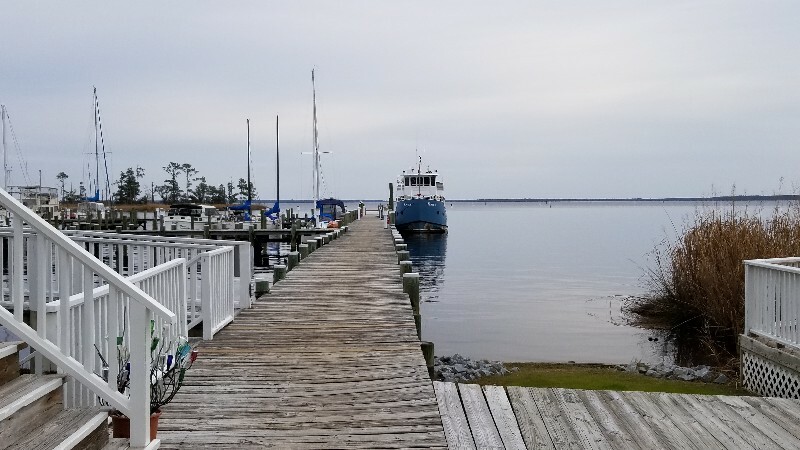 We arrived to our destination for the night in Behaven, NC.... Dowry Creek Marina at approximately 1400 and were securely docked at 1415 35°31.966N 76°32.133'W. We traveled today for 6 hours and 30 minutes 42.9 nautical miles averaging 6.6 knots. Left the dock late this morning at 1000... waiting for slack current and also for winds to calm down. 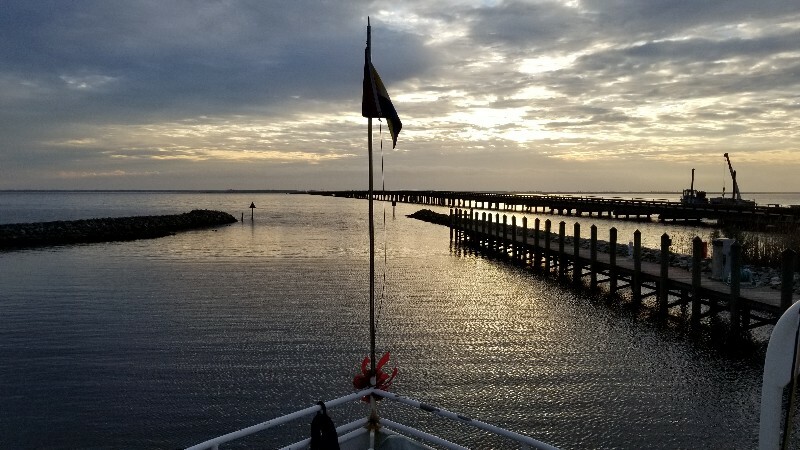 Forecast was for W winds 15-20 knots with gusts to 25kts subsiding to N winds 5-10 knots in the afternoon... much rather do the Albemarle Sound with 5-10 knot winds than 15-20 knots. Should not be surprised but we never saw the wind subside or change direction all day... so we had 20 knot winds out of the west all the way across the Albemarle Sound... producing 3-4 foot seas... was a sloppy ride for a couple of hours... virtually no other boats out... guess mid-December can't expect to see many other boats. 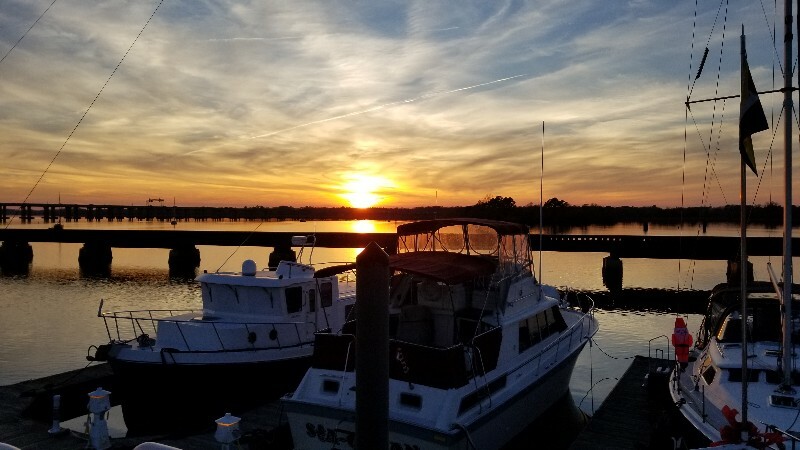 We arrived to our destination for the night in Columbia, NC.... Alligator River Marina at approximately 1450 and were securely docked at 1500 36°21'04.9"N 75°56'52.1"W. We traveled today for 5 hours 31.5 nautical miles averaging 6.3 knots.